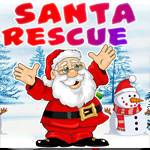 Games4King Santa Rescue Escape is another point and click escape game developed by Games4King team. Welcome back, escapers! Story of this game , Assume that you have a Santa Claus in your snowy village and as its Christmas time; Your Santa Claus used to deliver gifts on every Christmas. Unfortunately you Santa Claus didn’t deliver the Christmas gifts on time. Your Santa Claus might in some trouble. So use your skills to collect the necessary items in the snowy village to escape your Santa Claus for Merry Christmas. Are you ready? We’ll see it!. Good luck and have fun!